True love is forever and doesn't wane. 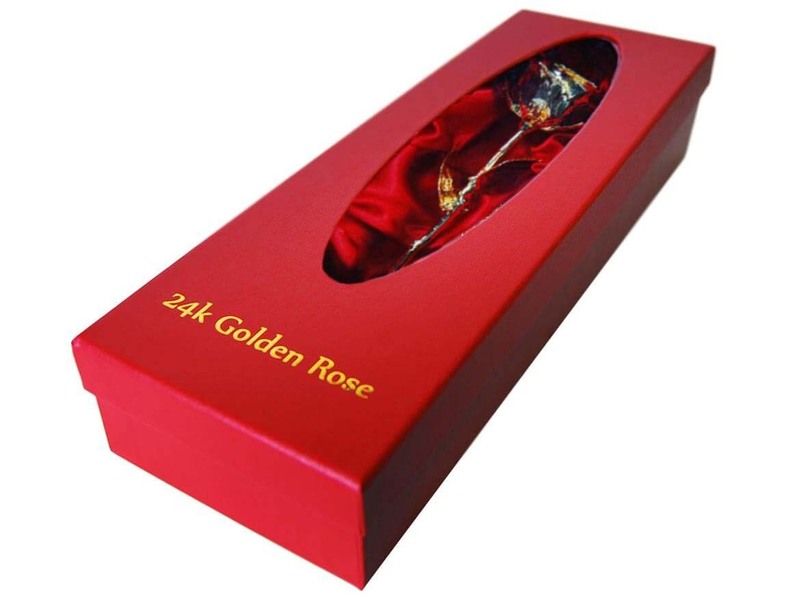 And this gilded rose won't either! It will never wither and is therefore an unforgettable keepsake. 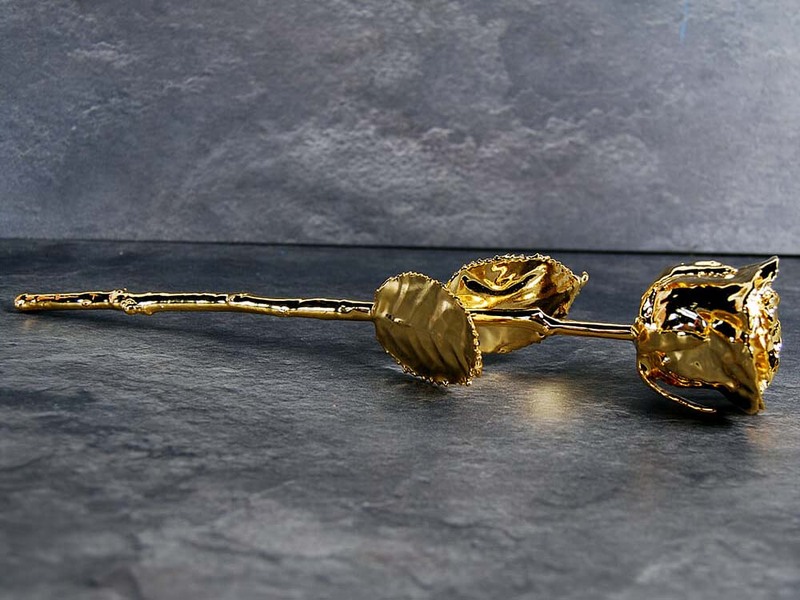 The finest of the finest roses were picked by hand and carefully dipped in 24k gold. This makes it an absolutely perfect gift for Valentine's, weddings or birthdays. 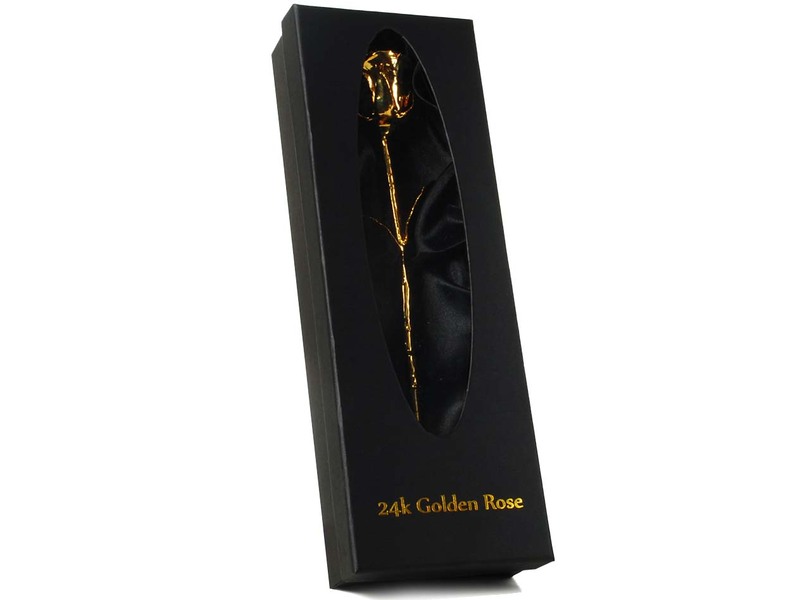 If you want to let someone know what they mean to you, a gold rose says more than a thousand words. 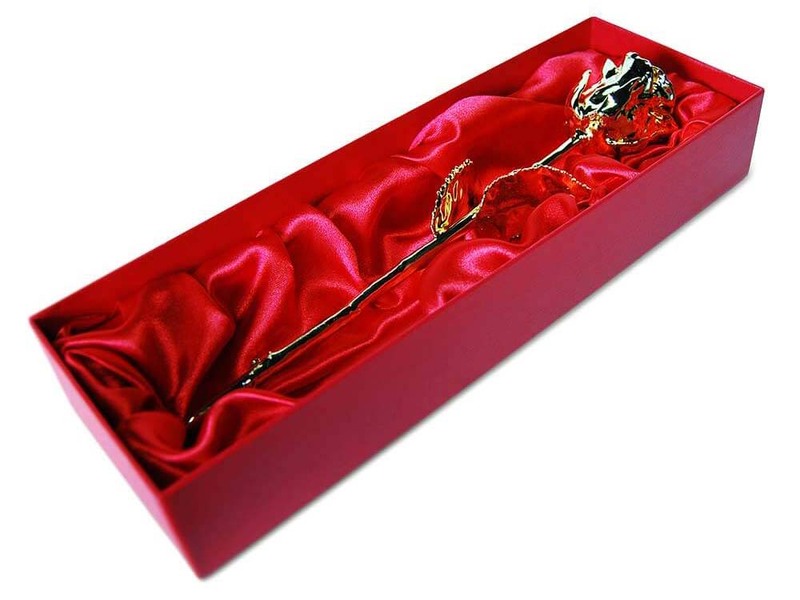 The rose is presented in a beautiful black box, finished with gorgeous satin. 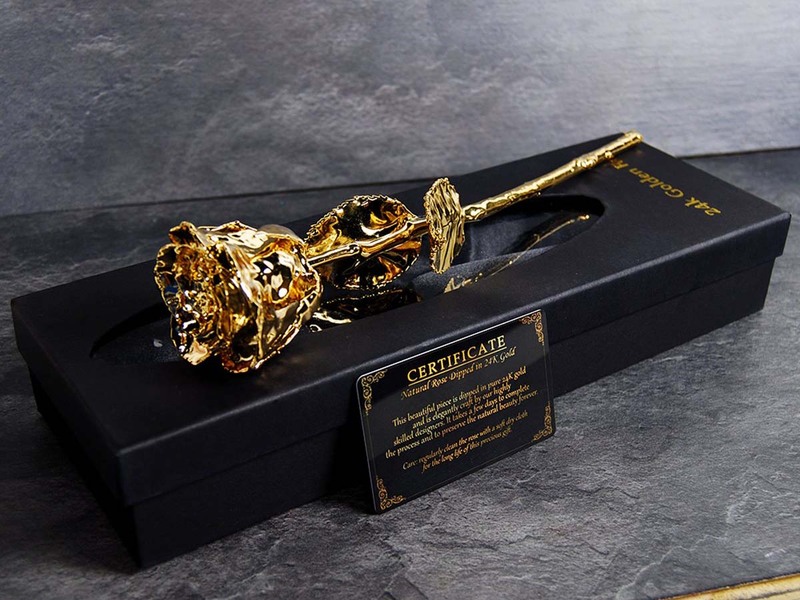 The rose comes with a certificate of authenticity. A golden opportunity for all the romantics souls out there!